We donate to animal charities. People Loving Animals is a website dedicated to helping people be the best pet owners they can be! I hope you'll find information here that is useful. And please, comment below if you have suggestions or requests for more subjects to be covered on this website! Submit your pet's picture, tell me your cute pet stories, share products and information you've found helpful as a pet owner... In many of the articles on this website, you'll see links to various products and services for pets and their owners. You can also see a list of some of my reviews of pet products HERE. I earn commission if you purchase something from any of these links. I DONATE 10% OF ALL COMMISSIONS earned from this website to the list of animal charities below. For more information about me and why I started this website to help animals, click About Debra. Humane Society of the United States Visit their website at www.humanesociety.org PETA - People for the Ethical Treatment of Animals Visit their website at www.peta.org. My local Niagara County SPCA. Visit them at www.niagaraspca.org Erie County SPCA (Buffalo Area). Visit them at www.yourspca.org Heart of Niagara Visit them at www.heartofniagara.org Hope Before Heaven They collect money to help pay vet bills when a pet needs medical care and the pet's owners can't afford to pay for it. Visit them at www.hopebeforeheaven.com GreatHounds.org is an organization dedicated to finding homes for ex-racing and abandoned greyhounds. They educate the public about the greyhound racing environment, the plight of unwanted greyhounds, and the rescued racing Greyhound’s suitability as a family pet. Visit them at www.greathounds.org. 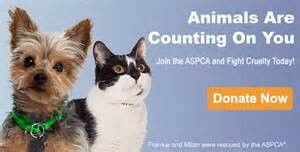 ASPCA I am currently donating $18 per month to the ASPCA. As this website grows, I'd like to increase that to $25, then $36 - and beyond! You can become a monthly member as well by signing up HERE. 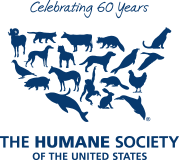 Tell Me About Your Favorite Animal Charity!